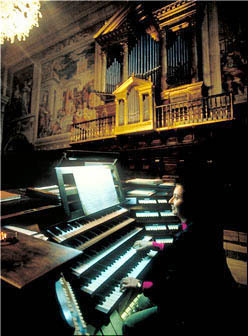 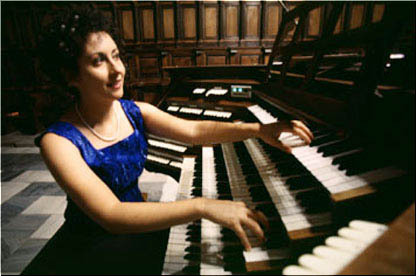 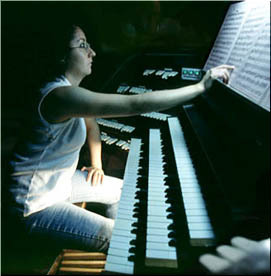 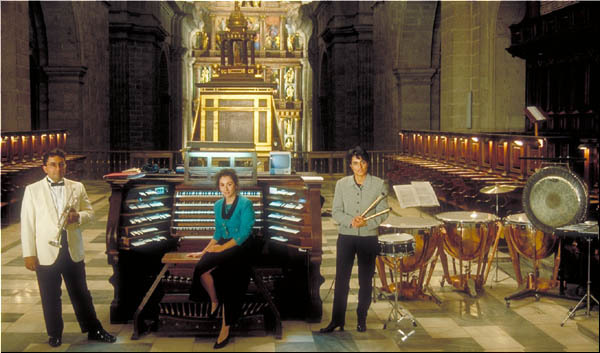 Pilar Cabrera playing the 4 organs at the Royal Monastery El Escorial near Madrid. 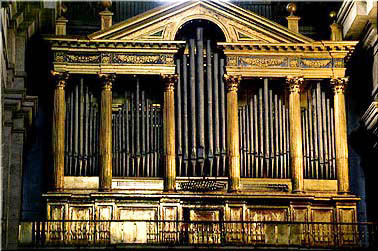 played by Pilar Cabrera with 12.000 pipes of the 4 organs at the Royal Monastery El Escorial, near Madrid. 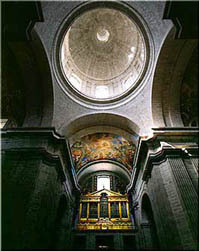 © 2007 - All photographs by Michael Reckling / Valladolid, Spain. 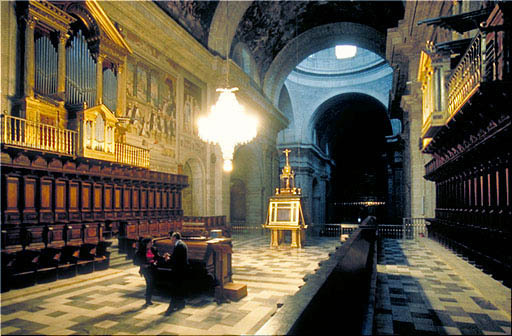 Pilar Cabrera performing music for organ, trumpet and percussion at the Royal Monastery El Escorial.